With elections over, it's time to focus on giving the state's ommunity colleges the financial support they deserve. Finally, it is over. Election day has come and gone. No more robocalls. No more polls. No more political advertisements that have a hint of truth but leave a bitter aftertaste. Although I did love the commercials for the governor's race where Knute Buehler was either the "Super Republican" Knute Buehler who hated women's right to choose or "Ultra Moderate" Knute Buehler who as always worked across party lines, was a doctor to the sick and can solve our pension crisis, school budget issues, housing crisis, bring peace in the middle east, cure the common cold and leap buildings in a single bound. Of course I am being facetious and the ads for and against Kate Brown were equally as dichotomous, but I did find the attempts to draw contrast comical. As I digress, the point I was attempting to make is that the campaigning is over. Even though the gavel does not drop for the 2019 legislative session until early next year, the work has already begun. There is going to be plenty of attention given to our PERS situation, which affects every school district, municipality and government entity. There will be plenty of attention given to clean energy and cap and trade. There will be plenty of attention given to infrastructure and social issues such as paid sick leave and others. People are lining up for their wish lists. I am writing my wish list to the legislature as well (I have to write something while my kids are writing their letters to Santa). And on the top of the list is increasing the funding for community colleges. Mt. Hood Community College (MHCC) is one of the hubs of economic activity in the East Metro region. Around since 1966, MHCC has more than 200,000 graduates and has a student population over 25,000 (comparable to any of our state universities) with more the 120 degree and certificate programs and nine intercollegiate sports. It is a home not just for degree and certificate programs, but also GED/ABE programs, workforce development programs, small business development center and other programs that are vital to the economic vitality of our region. The MHCC website describes their economic impact. Their website states "the college boosts the local economy, providing employers with well-trained professionals ready to enter the workforce. In its most recent Economic Impact Report, the college has an overall effect of directly adding $92.3 million to the local economy in goods, services and value added, along with an overall impact of nearly $700 million when factoring in success of students, alumni and jobs created." 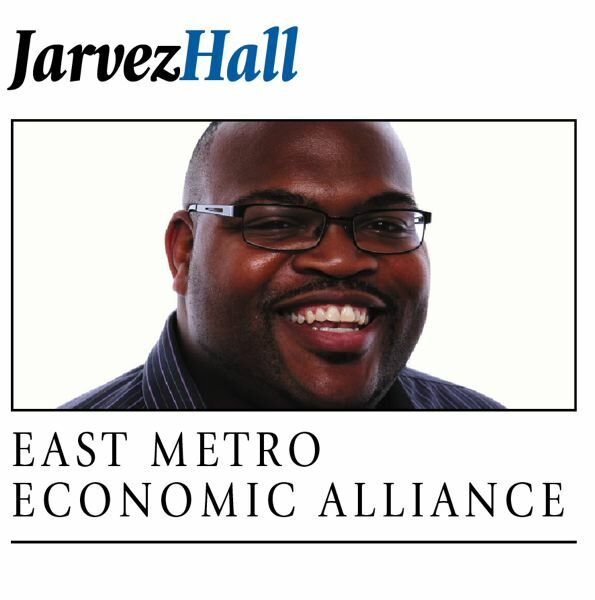 I know what type of impact MHCC has on the East Metro region. I have taught classes on the campus and seen the impact it has on their lives. I have spoken with employers who have grown or initiated business interests in the area in part because of the programs available at MHCC. I have spoken to small businesses that have gotten their start at the Small Business Development Center. This is MHCC's story but the same could be said for Blue Mountain Community College in Umatilla County, Central Oregon Community College in Deschutes County or any of the 17 community colleges in Oregon and their respective communities. The Oregon Community College Association (OCCA) is calling for a minimum "hold the line" budget from the legislature. The OCCA states, "currently the Community College Support Fund Receives $570 million from the state. Colleges will need at least an additional $77 million to meet their true current service level and balance their budgets without further program cuts or steep tuition hikes." I think we can do better than holding the line. I know we have the finances to invest in our future and it is import that we invest in community colleges as they are a regional driver of economic development. The "investment budget" the OCCA is calling for is "an additional investment of $140 million dollars ($70 million for CTE and $70 million for student success efforts) [that] would go toward dramatically increasing output of career and technical education programs and significantly increasing completion rates overall. An additional $70 million for CTE programs would allow colleges to double the number of graduates (an additional 7,900 graduates per year) in programs. An additional $70 million for student success efforts would go toward dramatic increases in completion rates targeted toward first-generation and under-represented students." I know everyone is tired of the campaigning, so let's begin the work. Let's support the economic activity in our region, let's support MHCC and community colleges across the state. State Legislature, let's fully fund our community colleges.